Fully Lined with Padded Comfort Collar and Tongue. Meets requirements for Electrical Hazard (EH) resistance as stated in Industry standards. Outer-sole heat resistant to 130º C surface contact. Sole resistant to mineral and organic oils and acids. Superior cut, split and crack resistant sole. A scuff cap for toe and heel protection. Excellent slip resistant sole rated SRC. Full lining treated with eco-friendly Odorban™ Control Technology to absorb odour for optimum freshness and hygiene. Footbed now infused with eco-friendly Odorban™ Control Technology to absorb odour for optimum freshness and hygiene. 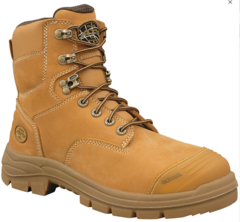 NATUREform® wide profile hi-impact composite safety toe cap. 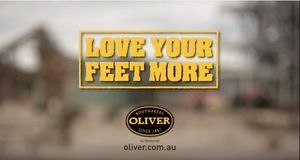 Oliver SOFTstride® open cell low-density urethane foam built into the insole for ultimate comfort and contour support.